Welcome to Midweek Makers! After a mega focus session last week, yesterday I finally got a chance to do some general housekeeping and catch my breath. Though I don't have any new projects to share, I do have some fun things to show. 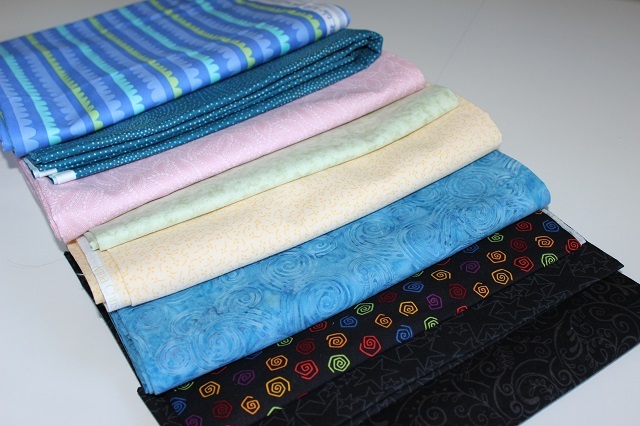 and a random assortment of fabrics - just cause I liked 'em - with some of them a minimum of 2 yards - great for backings! Do I need more fabric? No. Did I get told that at the meeting? Yes. Did I ignore those comments? Yes, and proceeded to make my purchases! Next up for fun was this really cute addition to one of my birdhouses in the Welcome to My Birdhouse, compliments of Dione of Clever Chameleon Quilting - it so made me laugh! In case you didn't know, Dione, while she's not creating beautiful quilts, runs the Tuesday Colour Linky Party, another great place to meet quilters - check it out next week. and last, but not least, from Desert Sky Quilts. And I promise to finally reveal all of my pumpkins on Friday - I'm pumpkin crazy right now! So let's get movin' on to this week's Midweek Makers - what are you working on? We'd really love to see! Please link to www.QuiltFabrication.com in your post or on your sidebar with the Midweek Makers badge. I really love Barbs "flowers for the window" I'm a little gaga over cactus' right now! And Pumpkins! Yes! Pumpkins all year for me! I leave alot of the more elegant ones (decorative of course) out all year in my dining and living areas! One can never have too much fabric and it looks like you made a great score on those. 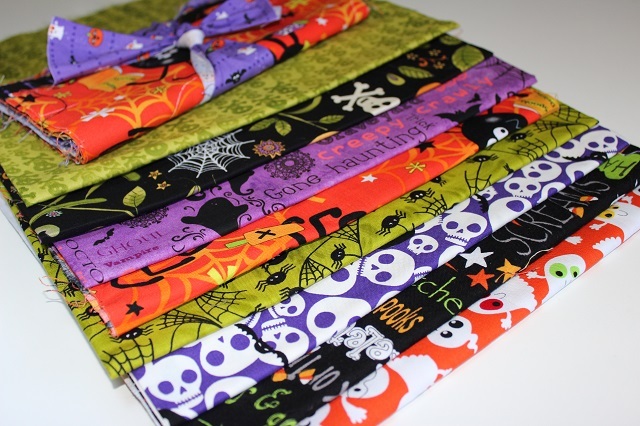 I love Halloween fabric and could sew with it all year long. Love that birdhouse quilt and the cute addition! Halloween fun. Halloween always creeps up on my and I have nothing to show for it. Maybe a stack of fabrics would change that. You can never have too much fabric. 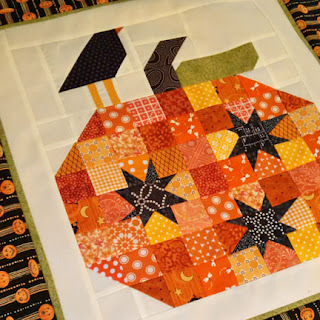 I'm looking forward to seeing your pumpkins together, and what you do with the Halloween fabrics - they are super! Thank you for featuring the Halloween jars. We have a theme going! Dione's birdhouse chameleon is great, and humorous, too. I agree with Kathi, no such thing as too much fabric! Loving all those pumpkins!! I'm working on a new fun pattern with some fun fabrics from Ft. Worth Fabric Studio and a few others!! The Chameleon did good featuring your cute bird houses! How could you possibly have turned down all those lovely halloween prints, and at this time of year too. Love all the pumpkins, can't wait to see yours.